Still in a sunny frame of mind, I've finished up a couple paintings inspired by our niece's horse show last year in Florida. 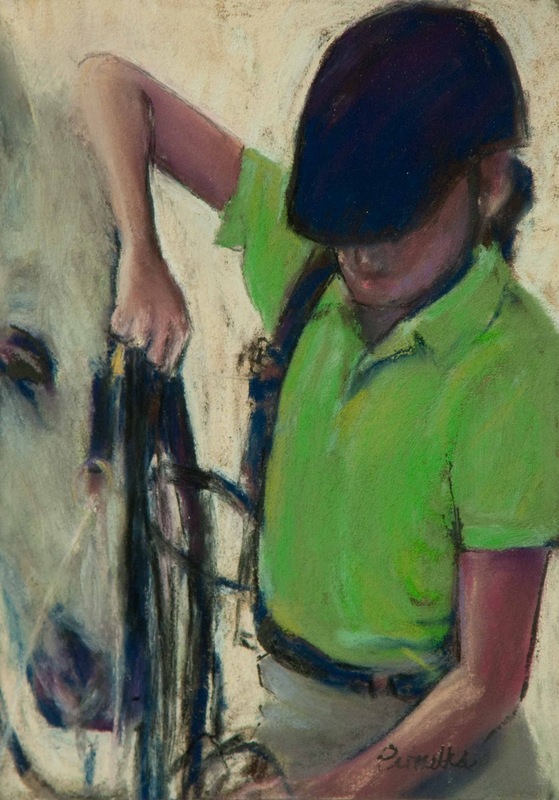 The first one, "Green Shirt Girl and Her Horse," is about an adolescent girl grooming her horse with great care and practiced skill. 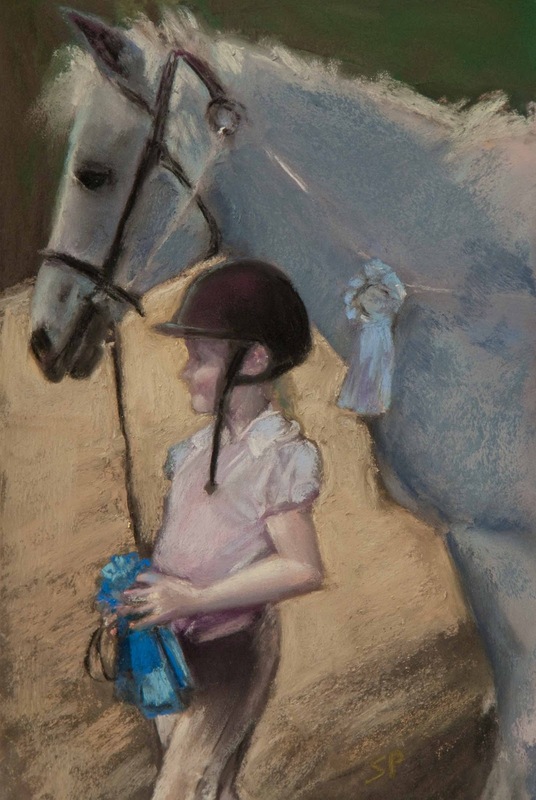 The second painting, "Her First Horse Show," depicts our niece proudly displaying her ribbons. I recall how much girls of a certain age just love horses. It's such a sweet time of youth. Well done! The green shirt is such a great subject, and the horse is happy, I can tell. What wonderful paintings! You did such a good job!!! Thank you, Casey and Mary.